FoliageLarge, glossy green foliage covers the plants. 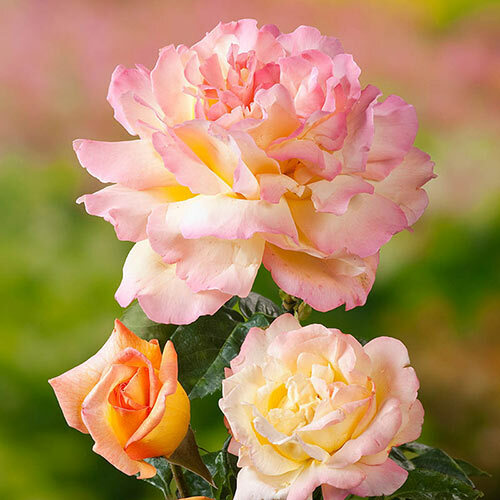 Flower FormThis 1946 All-America Rose Selections winner has very large, lemony yellow flowers that are edged in pink and have a mild, fruity fragrance. Each exquisite flower has 40-45 petals. CommentsDeveloped in France before World War II, Peace set the standard for hybrid tea roses.